Hear the song in your heart though you bear burdens. For life continues on in calamity and strife for those who know not of the peace I offer. Sing a song from the spirit of your heart, for it is I who gives you the beat of your heart, the song of my essence, the voice of my spirit. 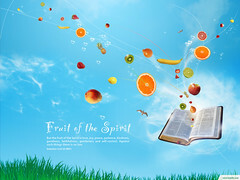 The fruit of holy spirit will give you joy and comfort, that others see what they know not. Be not wearied by the soulful cries of those lost in the weeds of the desires of their own hearts. They have sown the seeds of discord and relinquished the song of harmony and true love and desire. They seek the rewards of lust, leaving them ever panting after greater stimulation in excessive and riotous living. They raise their own station perceiving themselves as masters of the world, strutting with contempt when they feel the glare of righteousness. I see all, I hear all voices, some that grieve my heart and then those that give me great comfort and joy. Sing a song, sing in the spirit for my spirit is within that your voice be of the sounds of angels and the tongues of many other places. The voice you offer to me is in purity, it is not stained with the worldly thoughts that swirl and seek to dampen. Call in the name of my son to the peace that is of my kingdom, that it be on earth as it is in heaven, that you dwell in the cool shade of my shelter, that you emanate the light of my love and power, that the spirits that roam seeking what peace they might destroy, cannot bear to stand near. Flickering fiends you have perceived that glare behind the eyes of the gaudy have found harbor in their host. My spirit that is in you reveals that which is of the one who thought to be greater than his station, who crowned himself to be god. Even your silent utterance of prayer will silence the deceiver. The light that follows and surrounds you will have him fleeing. I have heard your thoughts, your love and praise and I will raise my children up on high, brothers and sisters to my son, King of kings, that you be as he, commanding the evil to flee, wielding always the sword of truth, strengthening yourselves with knowledge, knowing your station is standing with the King to whom I have granted all the universe and carrying always the song of the true spirit in your heart of hearts. God’s Prophecy, The Daily Prophet. This entry was posted in prophecy and tagged Bible prophecy, Christ, daily inspirations, daily prophecies, Daily Prophet, Fruit of the Holy Spirit, God, HolySpirit, king of kings, Peace, Religion and Spirituality, song of the spirit, voice of God. Bookmark the permalink.